The 25% hike offered by the finance ministry is a far cry from the protesting students' demand for 80%. The government has announced a 20% hike in the stipends for research scholars who were protesting for higher emoluments for their senior (SRF) and junior research fellowships (JRF). The scholars have been demanding such a hike since 2014 and began protesting last year for it. In response to widespread consternation, the Department of Science and Technology and the Ministry of Human Resource Development made a presentation to the Ministry of Finance, together with K. VijayRaghavan, the principal scientific advisor. The result of this exercise has been an increase in SRF from Rs 28,000 to Rs 35,000, and in JRF from Rs 25,000 to Rs 31,000. That’s a hike of 25% and 24%, respectively. The last such hike happened in 2014, when the grant amounts were increased from Rs 16,000 to Rs 25,000 for the JRF and Rs 18,000 to Rs 28,000 for the SRF. The corresponding increase was 56% and 55%, respectively. In fact, the hike offered by the finance ministry this year is the lowest since 2010. The protesting students had been demanding for an 80% hike, and according to one student many would even have settled for a 50% increase. A 24-25% increase, therefore, isn’t likely to end the protests – as another student attested. The JRF is available to students undertaking research funded by the Centre, typically after they have cleared a qualification exam like the National Eligibility Test or the Graduate Aptitude Test in Engineering. The SRF is available to students who have a JRF as well as at least two years of research experience. It also didn’t help that the hike percentages were determined, according to Ashutosh Sharma, the secretary of the DST, “based on inflation”. The consumer-price and wholesale-price indices have hovered at around 5% over the last four years, and has dropped in the last 18 months. He also claimed to The Hindu that the hike amounts were not restricted by budgetary constraints, although he did not provide any other reason. The extra expenditure incurred by the hike is expected to be Rs 1,500 crore. Further, he said that the Department of Science and Technology would arrange for a system from next year to hike stipends once a year instead of once every four years, as it currently seems to happen. However, this detail hasn’t been mentioned in the official memo released to the students, and the students have also not taken cognisance of it. Nikhil Gupta, a doctoral student at the Sanjay Gandhi Post Graduate Institute, Lucknow, told the newspaper that they had been promised “by various authorities” that the increase would be in keeping with those in the previous years. As a result, they’d been expecting a ~50% hike but are now disappointed. Most students’ reactions on Twitter following the announcement carried the same sentiments. 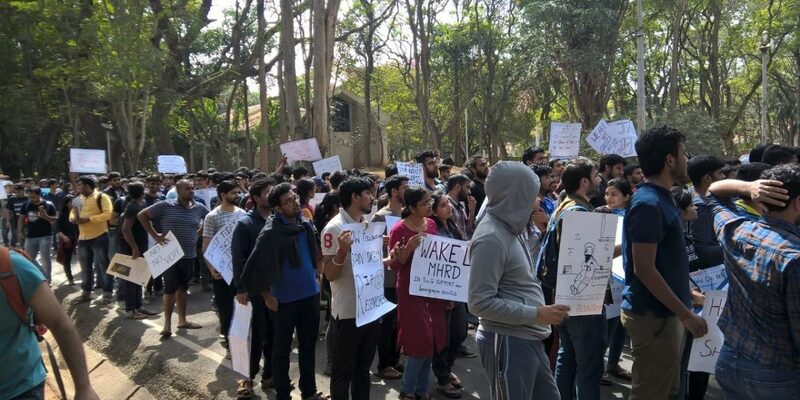 Many of them also felt that the government’s refusal to compensate its young researchers better even as it expected more from them would show in the upcoming Lok Sabha elections.